It’s that time of year when diets go to pot and my potbelly returns – but not this year! Thanks to NutriSeed I can still get my naughty nibbles on, minus the guilt! The NuMe range of not so naughty products will guarantee guilt-free eating this festive season – while keeping the fun in festive. Low carb, high protein, gluten-free baking products, made from ingredients that are not just tasty – they’re good for you! According to Nutriseed managing director, Nadine Hardy Petzer functional food is described as food containing health-giving additives – foods that have a potentially positive effect on health beyond basic nutrition. If you are pressed for time but want a dessert that mirrors the elegance of your event – then the 2-minute NuMe Cake in a Cup is a more than doable delight – because baking doesn’t have to be complicated to be gourmet. 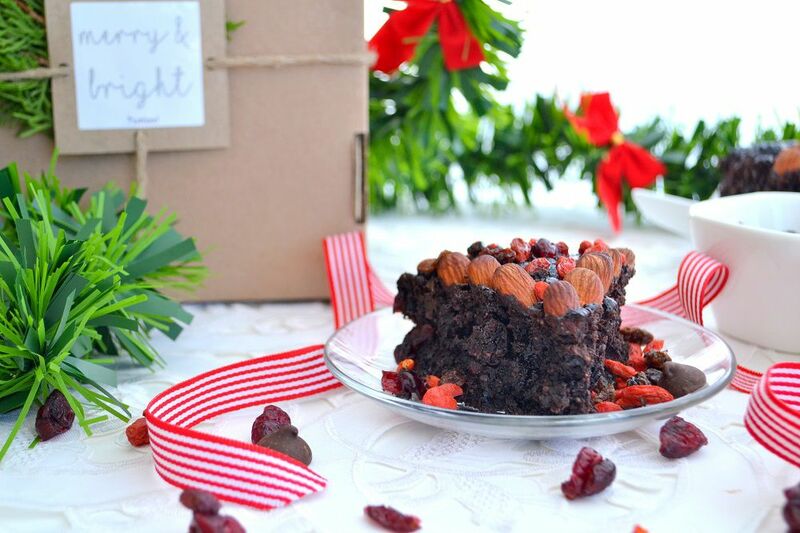 This wheat and gluten-free, hot and gooey chocolate dish, is a blend of the highest quality cocoa and coconut. For a festive feel, sprinkle grated dark chocolate and cinnamon over the top and serve with Chantilly cream. If you need berries in your desert – simple serve with nuts, cherries, berries and cream and dust with icing sugar. A hit of grated orange rind and a small slice of orange with cinnamon is another popular option. The versatility of the NuMe range allows you to get quite creative in the kitchen so if you are in the mood to turn things upside down this festive season, why not bake this rich and decadent chocolate Christmas cake – that’s both low in sugar – and wheat-free. Making this recipe is the epitome of quick and easy. Simply beat ½ cup of coconut oil, 3 eggs and a teaspoon of Vanilla Essence together. Add a box of NuMe Not so Naughty Brownie mix with six sachets of NuSeed Canadian Blueberry and Cranberries. Place mixture into a round or square baking dish and bake for 15 mins. Allow it to cool before cutting into slices. Remove from baking dish once cooled and serve either as is or with whipped cream or custard. For a real show stopper, decorate with dried fruit and nuts and allow some brandy or orange liqueur to seep into the baked cake before serving and top with sparklers. Festive baking can also give rise to great gifting ideas. 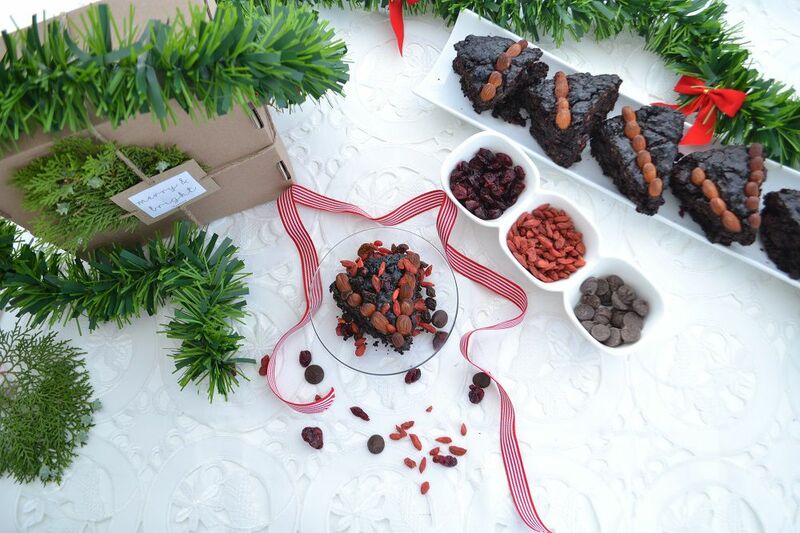 NuMe Brownies make a deliciously decadent teacher year-end gift. Sugar-free, low carb, with no artificial additives – yet dense and delicious; with the added benefit that they are incredibly easy to bake. You can add nuts to the mixture for extra crunch. Once cooled you can either dust with icing sugar or leave as is – or even drizzle with sugar-free Belgian chocolate. Wrap in brown paper and decorate with twine. This is homemade and heartfelt giving at its best. All the NuMe baking premixes are in Dischem Pharmacies, Food Lovers Market, Jacksons, as well as selected supermarkets and at The Health Food Emporium.